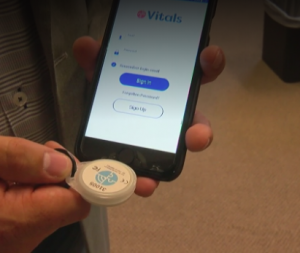 Vitals Aware Services , a client of Lab 651, is releasing mobile and web applications with IoT based technology created by our team to more than 500 police officers in Dakota County, Minnesota with a number of other law enforcement agencies around the United States set to pilot the program in the coming months. Coverage by the Hastings Stage Gazette and CBS News showcase the demand for such a product for those who have vulnerable loved ones that can make interactions with law enforcement and first responders one understanding and assistance in times of need. As quoted in the story by CBS News, the application will be a “life changer” by the parent of an Autistic individual. An estimated minimum of 70,000 people could benefit from a new service designed to improve interactions between law enforcement and vulnerable residents, according to a press release from Vitals Aware Services, the group behind the endeavor. We are excited at the opportunity to have such a game changing application that we have built to be used by so many people in the state of Minnesota and beyond. Thank you to the team at The Vitals App as we continue to help them execute on their vision of creating a safer world for individuals in critical situations.